Excel OWC (Organic Waste Convertor) is an easy to use Decentralized Waste Management System to turn large amounts of organic waste such as kitchen waste, garden waste, food processing waste etc. into compost. The system is designed to eliminate odour and also to remove the problem of irritants such as flies and rats. The Excel OWC is a bio-mechanical Composting System which consists of the OWC machine, Curing System and a number of optional accessories for specific waste challenges. Excel OWC System offers you proven success. It is India’s most widely used de-centralized organic waste treatment system with over 1000 systems successfully installed and operated. The OWC machine and system comes with free preventive quarterly maintenance in the first year and warranty for any breakdown due to manufacturing defect. We are committed to fast response and resolution of any breakdowns so that you can get uninterrupted output. The compost out of OWC meets the most stringent quality norms in India, making your composting project more economically feasible. Established in 1941 Excel Industries is committed to the cause of the environment and sustainability. Excel OWC System is the product of years of passionate research and development into sustainable waste management. The size of the system depends on the quantity of waste that is expected to be handled. We manufacture the OWC system in a wide range of sizes and also make a number of accessories to address specific waste challenges. The Excel OWC machine is Excel’s patented Organic Waste Converter. The machine takes organic waste and Excel Bioculum as input and to create manure starter. In just one week of curing the processed waste is transformed into FCO compliant manure that can be used on site in gardens or agriculture. The OWC uses proprietary technology to optimally homogenize, aerate and hydrate waste. The process is robust enough to handle an extremely wide ranges and grades of waste. The OWC is designed to be extremely simple to operate and requires minimal training. Maintain perfect moisture and keep track of your compost as it cures, with Excel's Curing systems. Durable and ergonomically designed, Excel’s curing systems are indispensible to making your composting project a success. The Double Shredder pretreats solid compact wastes such as animal bone, small twigs and thin branches etc for easy feed into the OWC machine. 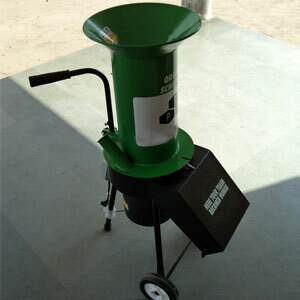 The Double Shredder is an essential accessory if your system needs to treat meat bones waste and garden waste. 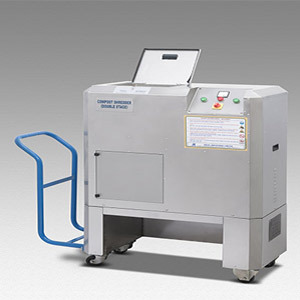 The machine ensures that the OWC System works optimally when handling even waste traditionally considered difficult to treat. The Garden Shredder is needed to preprocess solid chunky garden waste such as branches, wood chips and saplings. It crushes solid chunky waste into a consistency that can be easily handled by the OWC machine. This accessory is vital for those who will be treating garden waste in their OWC system. When your organic waste output is on a large scale i.e. greater than 2 tons per day then you need a system designed to handle bigger volumes. Excel’s Large Scale OWC Systems are tailormade solutions to waste challenge at large scales. Our Large Scale Systems function as waste treatment plants that automate a number of labour intensive processes.